Part 1: Setup a windows r2012 server using Vurtl as the cloud provider. 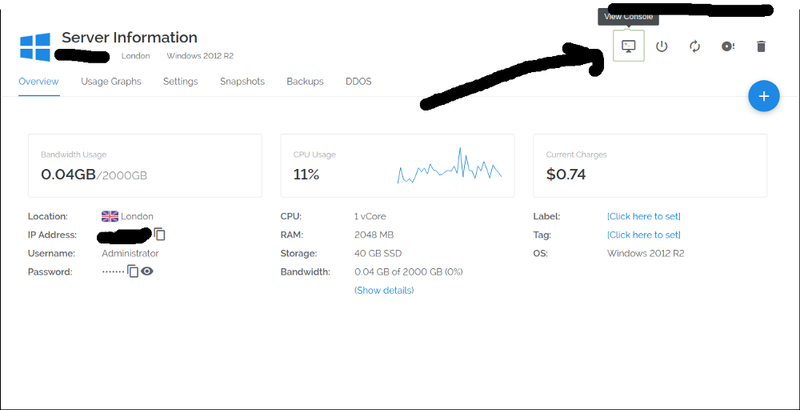 Start by creating an account on Vultr, Since we are renting a server, you will need to add some credit into the account. For the first time it has to be done with either PayPal or a credit card, after that bitcoin can be used. Server Size: The smaller, the cheaper! Rest of the options can be left blank. Press the “Deploy Now” button and wait for the server to boot up and install all the requirements. After adding the firewall rule, go back to the Servers section and click on your deployed instance. 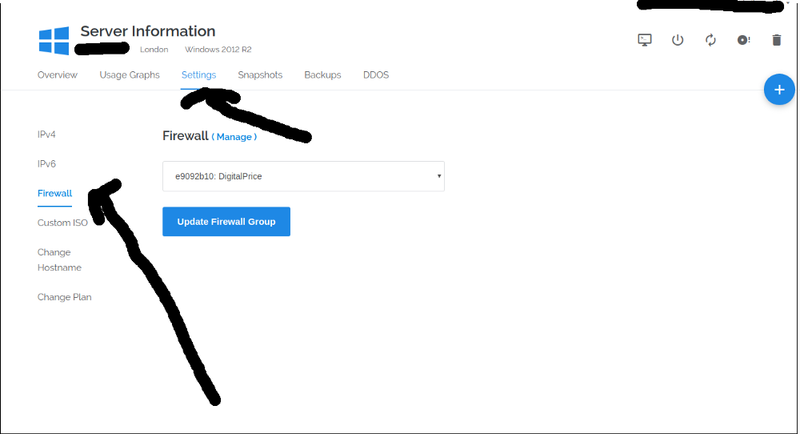 Press Settings and the Firewall tab, select your newly named group and press “Update Firewall Group”. We have now done all the necessary configurations, lets connect to the instance and start updating the Windows configuration. Press the View Console to startup a remote desktop connection over the web! When opening the View Console for the first time, there might be some startups scripts that will be running. After that, log into the instance using the username and password provided in the overview page for your instance. Hint: It might sometimes be hard to type in the password since there is no copy-paste in noVNC. You can start a windows keyboard in the login window to type in the password. After disabling the firewall or opening the specific ports, you are all done for part 1!